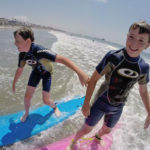 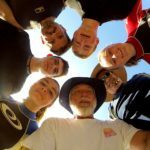 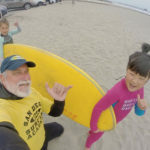 2016 08 13 The Captain and the Kids – San Diego Surfing Academy – San Diego Surfing Academy Since 1995! 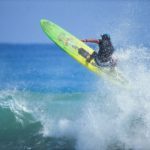 OCEANSIDE HARBOR LIFEGUARD TOWER TEN, NORTH COUNTY COASTAL SAN DIEGO – August 13, 2016 – It was time for a summer break from studies so Ryan flew like a Falcon from Bowling Green State University. 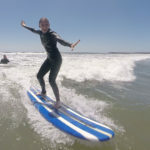 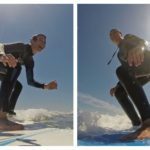 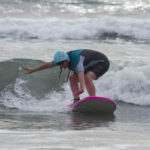 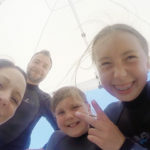 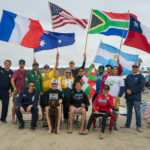 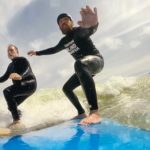 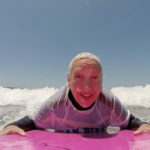 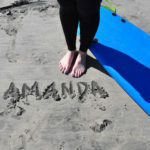 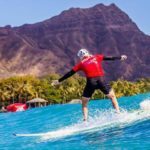 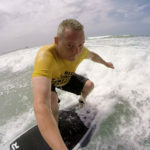 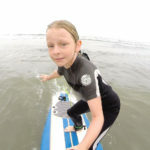 She joined the USMC Captain and the uber athletic and gymnastically inclined Family Hrynewych for surfing lessons with Coach Pat Weber of the San Diego Surfing Academy. 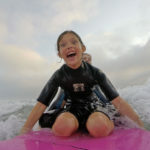 Oceanside Harbor will never be the same!